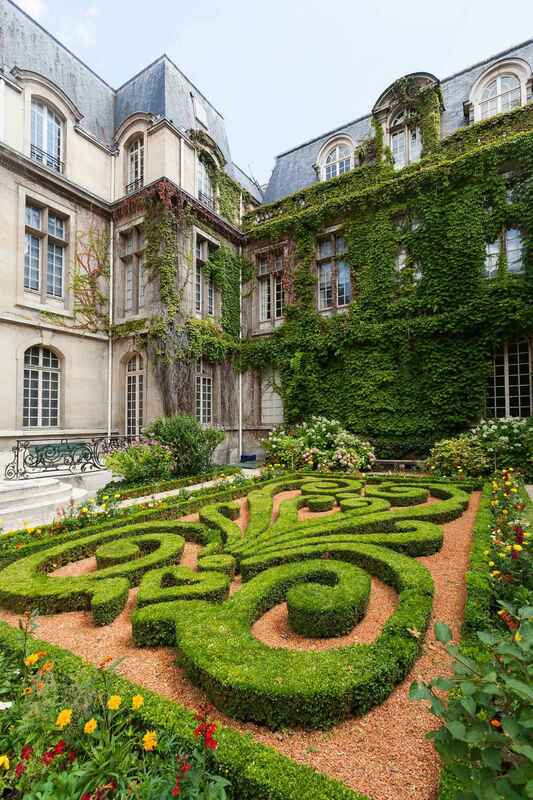 The Carnavalet Museum in Paris is dedicated to the history of the city. The museum occupies two neighboring mansions: the Hôtel Carnavalet and the former Hôtel Le Peletier de Saint Fargeau. On the advice of Baron Haussmann, the civil servant who transformed Paris in the latter half of the 19th century, the Hôtel Carnavalet was purchased by the Municipal Council of Paris in 1866; it was opened to the public in 1880. By the latter part of the 20th century, the museum was bursting at the seams. The Hôtel Le Peletier de Saint Fargeau was annexed to the Carnavalet and opened to the public in 1989. Carnavalet Museum is one of the 14 City of Paris' Museums that have been incorporated since January 1, 2013 in the public institution Paris Musées. In the courtyard, a magnificent sculpture of Louis XIV, the Sun King, greets the visitor. Inside the museum, the exhibits show the transformation of the village of Lutèce, which was inhabited by the Parisii tribes, to the grand city of today with a population of 2,201,578. The Carnavalet houses the following: about 2,600 paintings, 20,000 drawings, 300,000 engravings and 150,000 photographs, 2,000 modern sculptures and 800 pieces of furniture, thousands of ceramics, many decorations, models and reliefs, signs, thousands of coins, countless items, many of them souvenirs of famous characters, and thousands of archeological fragments. ... The period called Modern Time, which spans from the Renaissance until today, is known essentially by the vast amount of images of the city. ... There are many views of the streets and monuments of Paris from the sixteenth to the twentieth century, but there are also many portraits of characters who played a role in the history of the capital and works showing events which took place in Paris, especially the many revolutions which stirred the capital, as well as many scenes of the daily life in all the social classes. In 1548, Jacques des Ligneris, President of the Parliament of Paris, ordered the construction of the mansion that came to be known as the Hôtel Carnavalet; construction was completed about 1560. In 1578, the widow of Francois de Kernevenoy, a Breton whose name was rendered in French as Carnavalet, purchased the building. In 1654, the mansion was bought by Claude Boislève, who commissioned the well-known architect, François Mansart, to make extensive renovations. Madame de Sévigné, famous for her letter-writing, lived in the Hôtel Carnavalet from 1677 until her death in 1696. The Hôtel Le Peletier de Saint Fargeau was also built in the middle of the 16th century. It was originally known as the Hôtel d’Orgeval. It was purchased by Michel Le Peletier and passed on eventually to his grandson, Le Peletier de Saint Fargeau was a representative of the nobility in the Estates-General of 1789. In 1793, Le Peletier voted for the execution of Louis XVI, and was murdered, in revenge for his vote, the same day of the execution of the king on January 20, 1793. 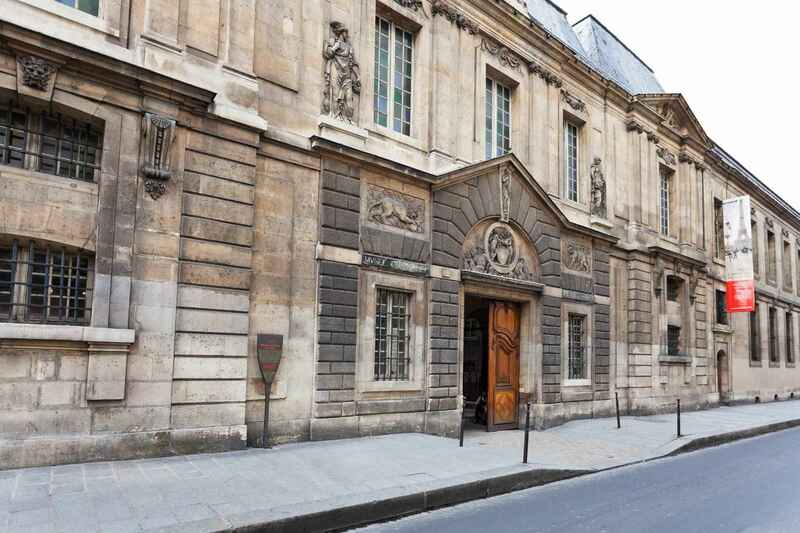 Carnavalet Museum History of Paris | eTips Inc.